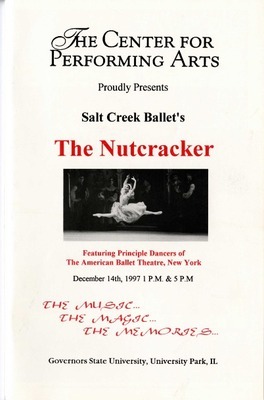 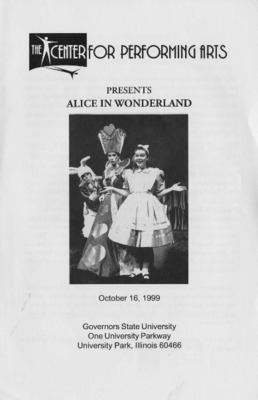 Programs for the October 16, 1999 and May 7, 2005 performances of Alice in Wonderland by AlphaBet Soup Productions. 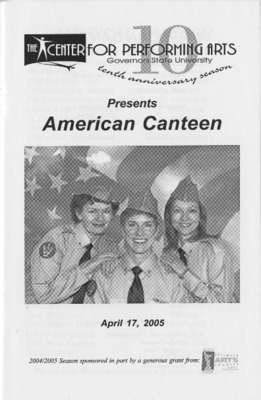 Playbill insert for the April 17, 2005 performance of American Canteen. 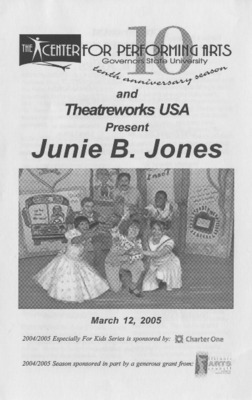 Program for the March 12, 2005 performance of Junie B. Jones by Theatreworks/USA. 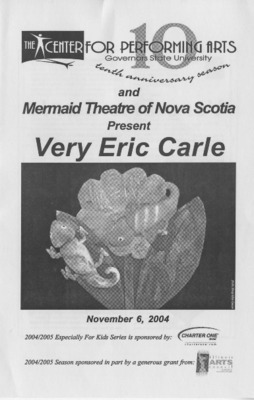 Playbill insert for the November 6, 2004 performance of Very Eric Carle by Mermaid Theatre of Nova Scotia. 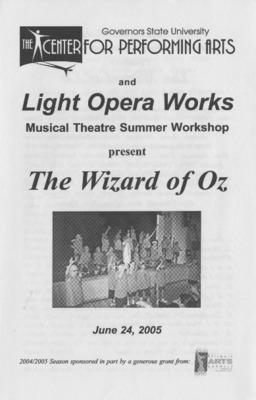 Programs for the June 24, 2005 performance by Light Opera Works Musical Theatre Summer Workshop and the February 11, 2011 performance by Missoula Children's Theatre of The Wizard of Oz.